Beautiful mothers ring, Maria. 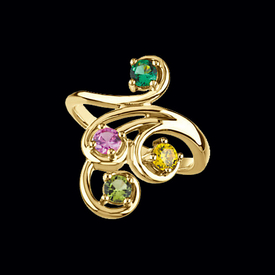 Mothers ring is available in 14k yellow gold, 14k white gold, and Platinum. 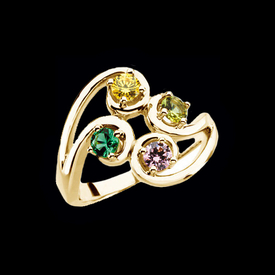 This ring will hold 1, 2, 3, or 4 birthstones. Gemstones are round and measure 3.5mm. 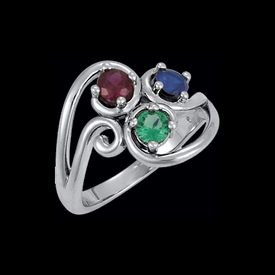 You may order this ring set with genuine gemstones, imitation stones, or a combination of both. If you would like alternate stones simply email us for pricing.